We have 74 independent Houston beauty professionals under one roof that mostly specialize in healthy black hair care. Walk-ins are welcome! All 74 of our experienced beauty professionals specialize in healthy black hair care in Houston. They set their own hours, prices, and make their own appointments. They are all under one roof and have their own private suites. 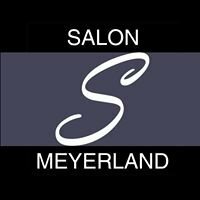 Please contact them directly from www.salonmeyerland.com to inquire about their services and availability. Keturah Davis "Healthy HAIR Retreat"